The International Field Exploration and Development Conference (IFEDC) is designed for experts, engineers and geologists as well as executives from oil companies, service companies and academia who are interested in developing a cross-disciplinary perspective on increasingly complex oil and gas projects connected with exploration and development. IFEDC 2018 will bring leading experts together in each of these areas to examine the challenges and explore the potential for change at a single event for a transformative learning opportunity. Now more than ever, it is imperative that organizations learn how world-class technologies can help turn challenge and complexity into advantages. Formal presentations and panel discussions will provide conference participants with a unique opportunity to engage with the leaders and engineers in these fields to explore ideas and solutions. The theme of IFEDC 2018 is “Transforming Oil and Gas Industry by Innovation”. 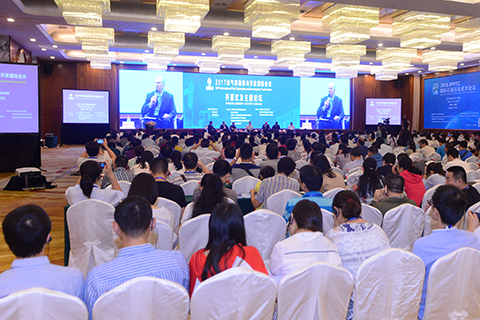 The conference addresses the application of the exploration and development technology from all around the world. Nowadays, the global is facing growing demand for hydrocarbon based energy that has never been seen before. Global energy consumption has grown about 45% over the past 20 years, and it is expected to grow another 39% over the next 20 years. Difficult produced oil and gas accounts for nearly half of the increase in global oil and gas production within future 30 years, with most of the increases coming from China, the United States and Australia. But the difficulty produced oil and gas business is still in its formative years, with uncertainty in many countries about the extent and quality of the resource base and concerns about the environmental impact of production. The development of unconventional oil and gas is going to be a challenge when compared with conventional oil and gas. The development of unconventional oil and gas is not only a subsurface resource developing challenge, but also one that represents complexity in every aspect of the resource contracting, commercializing, and sales chain. The extraction of this oil and gas is usually associated with drilling and completion, reservoir description and dynamic analysis, production operation, hydraulic fracturing, reservoir and well monitoring technology. The IFEDC 2018 offers executive and technical sessions that discuss strategies to help extract maximum value from exploration and development—to clearly understand the impact of technical risk and improve the quality of your results. Registrations will be accepted on a first-come, first-serve basis. The Conduct Committee encourages attendance from those who can contribute to the conference most effectively either in discussions or with posters. Attendees from different countries and companies will be encouraged. Attendees will be provided bilingual service-English and Chinese-at working time. Simultaneous interpretation will be arranged during conference period. Visa requirements for China can differ from country to country. Contact your nearest Chinese Embassy for more information. Those who request official invitations for visa application are required to fill in relevant details in registration form. Upon requests, official invitation letters will be issued and sent by fax or E-mail.